What Does Hull Coverage Insurance Cover? Simply described, hull coverage insurance is a common type of insurance that covers the owners of watercraft or aircraft against loss resulting from damage to their craft. You should look into hull coverage insurance if you own or operate any kind of watercraft for commercial purposes, whether a fishing boat or a yacht, or any kind of aircraft, whether a crop duster or a jet. 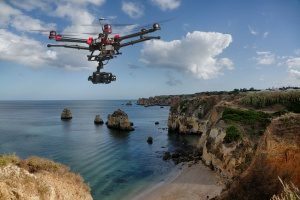 Hull coverage insurance should also be considered if you own or operate a drone, sometimes referred to as an Unmanned Aerial Vehicle (UAV). If you are a recreational operator, your homeowners insurance may cover you, but it may be wise to check into it. If not, you should make sure you have coverage before you continue to operate your drone. A growing source of business for hull coverage insurance is drone ownership. Waterborne, and airborne drones especially, have begun entering commerce in large numbers. 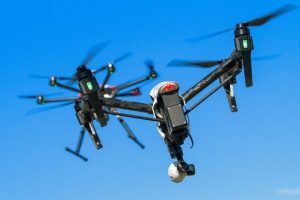 With the growth of UAV activity, UAV-related accidents are a growing risk for UAV owners. Despite the growth, no regulations require hobby or commercial drone operators to carry insurance. Hull coverage insurance, sometimes called hull and machinery insurance, covers damage to the watercraft or aircraft itself. Traditionally, it covers a broad range of damage to the aircraft hull, machinery, and equipment. The same coverage is available for drones. Hull coverage insurance gives the UAV owner the same peace of mind as any other watercraft or aircraft owner operating in domestic or international space. Total loss in terms of actual or constructive loss of the UAV. Damage to the hull, machinery, and equipment of the UAV. Legal costs and labor costs. Costs for collision defense and attacks. As you can see from this list of covered risks, all physical damage to a UAV can be covered by hull and machinery insurance. It could extend to recoveries and losses even at sea. UAV owners can choose to buy hull coverage insurance that covers all risks and total loss, or limited conditions only. You have complete control over your liability and financial commitment to your UAV. Without hull coverage insurance, you will be fully liable for the cost of repair and replacement of your UAV. You may be a skilled professional UAV operator, but you cannot rule out making a mistake, and equipment failures do happen. If you want to avoid the possibility of hefty legal fees and repair bills, and possibly lose your business, you need UAV insurance. Moreover, your clients will have more confidence doing business with you. Note that hull coverage insurance does not cover liability for personal injury or death. You should buy liability insurance if you do not already have it. Hull coverage insurance also excludes war risks such as terrorism. For those risks, separate coverage is available from your insurance agency. Payload, such as cameras, sensors, or anything else carried on the UAV. Ground equipment, such as computers, remote controls, or stations. Damage occurring when the UAV is used by a party other than the UAV owner, called “Non-owned Coverage”. Personal injury resulting from invasion of privacy and similar claims. 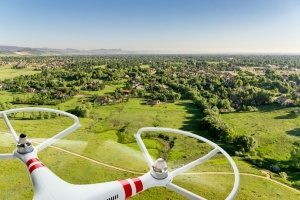 Similar to determining the coverage amount for insurance on other types of property, your insurance broker will determine the UAV’s value and give you a quote on an “Agreed Value” basis. 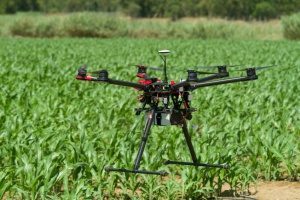 The insured value should be consistent with your UAV’s market value. As the UAV ages, its value will decline. You need to make sure that you and your insurance agent keep up with the UAV value so that you do not overpay for the insurance coverage. You could be unpleasantly surprised in the event of a claim for loss that is much less than you expected. On top of that, you should expect to pay a deductible of about 5 to 10% of the UAV’s insured value. The cost of each part of your rig and related equipment. Specific information about your drone(s). Where you are planning to operate. Type of work you are doing with the drone, i.e., law enforcement, marine research, photography, etc. How many hours you have flown. How much drone pilot training you have received. History of accidents or loss. Whether you keep a maintenance log. Whether you are an FAA-licensed drone pilot. Whether you own or lease your equipment. Your ability to automatically record your flight log and data. Whether you are flying over water, urban areas, or operating indoors. Protect your investment and protect yourself. Make sure you are insured against risk of damage to your drone or total loss. If you lose your drone, you may lose your business. If fully insured, however, you and your clients can feel secure in the knowledge that an accident need not mean financial ruin. Talk to an experienced drone insurance broker for more information as soon as possible. Previous Post: « What Does Drone Insurance Cover?